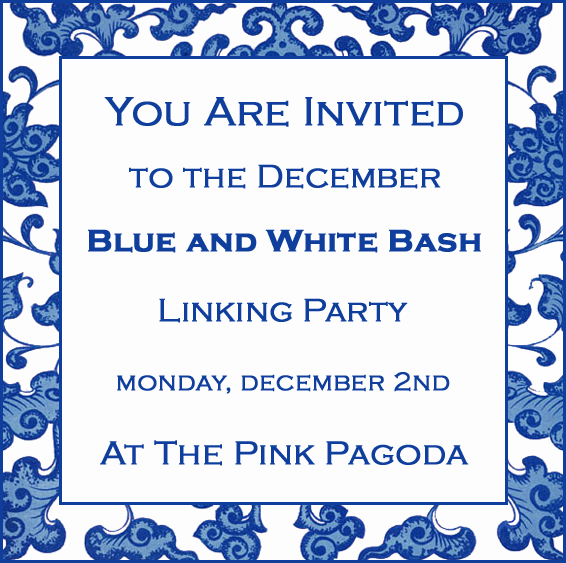 Tomorrow, December 2nd, The Pink Pagoda is hosting her third Blue and White Bash Linking Party. You just pop over tomorrow and link up with any blue and white post you have done. 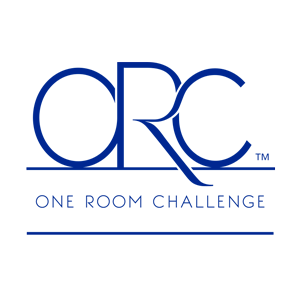 You can also create a special blue and white post for tomorrow. 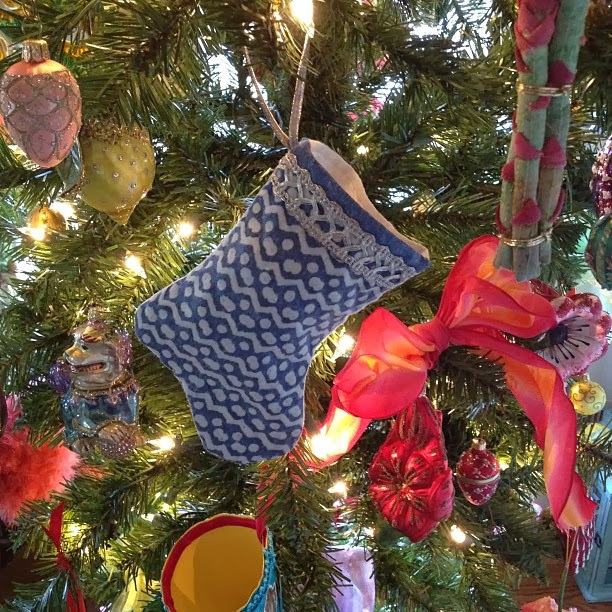 With the holidays just around the corner, Jennifer is hoping for some holiday or winter themed posts, but all blue and white posts are most welcome. 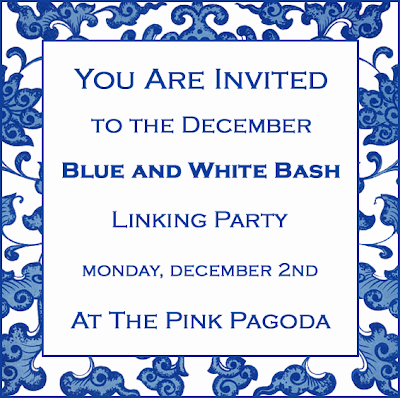 If you are new to the Blue and White Bash Linking Party, here is the first and the second. 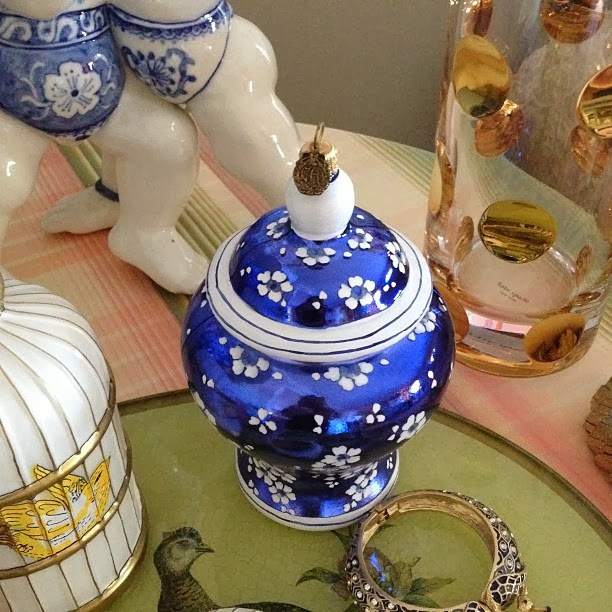 I have created a very special post for tomorrow on A Blue and White Chinoiserie Christmas. 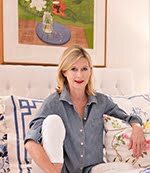 I promise you will find inspiration galore on combining blue and white, Chinoiserie, and Christmas decor - what could be prettier? Here is a sneak peek. 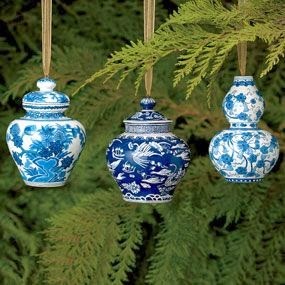 These blue and white ginger jar ornaments are on a 25% off Black Friday sale through TODAY. 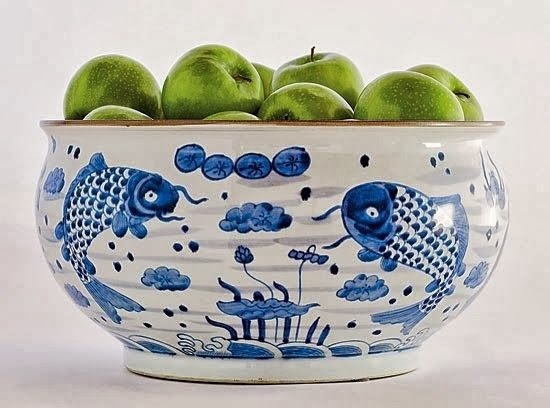 I love the idea of a centerpiece of blue and white Chinese porcelain filled with green apples. I haven't found a source for this exact bowl, but I found another one I love below available at Biscuit here. 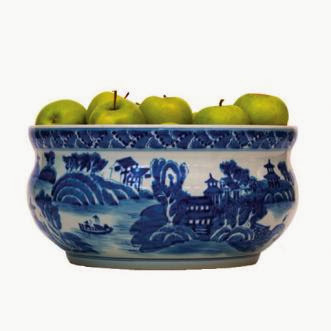 At 13" wide, it is a perfect size for a centerpiece for the dining table or sideboard. 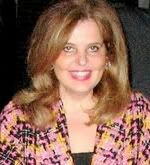 Now go get that post ready for tomorrow and come join in the fun. No blue and white post? Well just pop over to The Pink Pagoda tomorrow. It will get you in the holiday spirit. 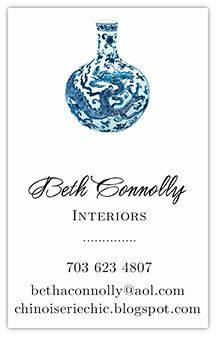 Jennifer has promised photos of how she uses blue and white in her own home for the holidays. 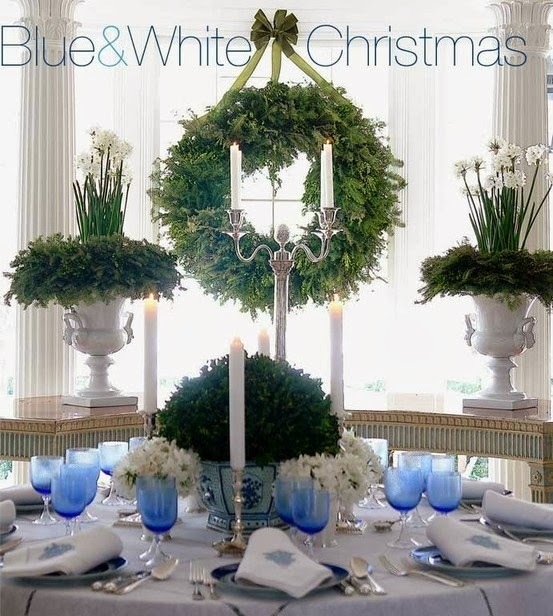 My own blue and white Christmas decorating is in full swing too! Thank you so much for The Bash mention!! 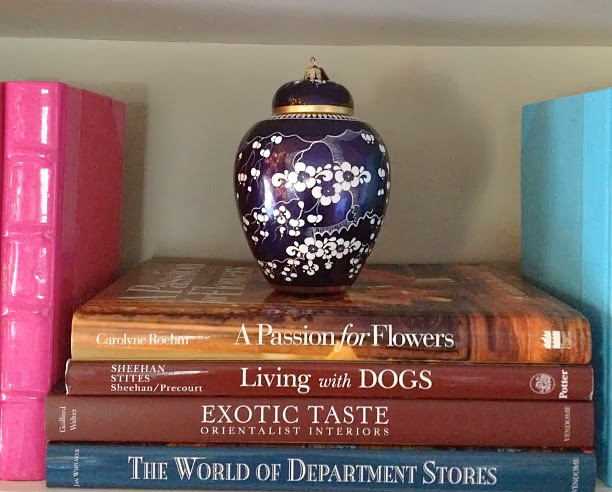 I HAVE TO HAVE those ornaments. NOW. Can't wait to see your post tomorrow and very happy you'll be linking up! 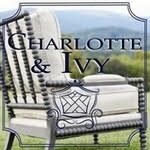 So excited -- just purchased 3 sets -- can't wait to get them! Thanks for sharing this! Woohoo! Thanks for mentioning this! Im so excited. And the ornaments are gorg! !